What's missing? That's right, our Obama sign. For the past few weeks, we've had five signs marching up our curbstrip, exercising our right to free speech, sharing our support for the President, our congressperson, our senator, and a couple of local guys. This morning, the Obama sign was in the middle of the road, and the wire frame that held it up was nowhere to be found. Now maybe, just maybe, someone had a need for sturdy wire in the middle of the night and thus liberated the frame for important purposes, but somehow, I don't think so. I think someone doesn't like the President and was offended by my yard sign. No matter. I'm still voting for Mr. Obama. I think he's the best hope for our country, and I think Mr. Romney would be a mean-spirited, nasty-minded, destructive force should he be elected. There are a lot of issues on the table right now. For me, I am horrified by the degree of inhumanity evidenced by Mr. Romney vis a vis women and gay people. I am dismayed at his lack of concern for the "47%". I am shocked by his poor grasp of foreign affairs, and the way he's put his foot in it over and over again. But one of the most important things to me is our domestic policy as regards health care. I wrote about this not too long ago, when I talked about how much it cost for us to have our daughter's broken arm attended to. But the free market, though it may be the best way of allocating new TVs and cars, falters when it comes to paying for bypass surgery or chemotherapy. The reasons for this were established nearly fifty years ago, by the economist Kenneth Arrow, in a classic article entitled “Uncertainty and the Welfare Economics of Medical Care.” Arrow showed that health care is distinctive in ways that limit the power of the market. Because people don’t have the expertise to evaluate doctors, hospitals, or treatments, it’s hard for them to comparison-shop. Because they can’t pay for major care out of pocket, they must rely on insurance, thereby often losing the final say in what to buy or how much to spend. More fundamentally, markets work only when consumers have the power to say no if the price isn’t right. Yet it’s very hard for people to say no in the case of things like end-of-life care or brain surgery. For me, the health care issue crystalizes why I will vote for Mr. Obama again. I want the United States government to help people. Health care is a necessity for the collective good, for the whole of the country, just as national defense is something done for all of us, not just a lucky few. And after Hurricane Sandy flies by, and assuming she doesn't take out the oak in front of my house, I'm nailing my Obama sign to the tree. I'm reading Hilary Mantel's Bring Up the Bodies right now. In one of those little frissons of synchronicity, she just won the Man Booker prize for it, and she was profiled in the New Yorker a couple of weeks ago. I feel so au courant; I'm rarely reading anything that in the news right this very moment. But a curious little bit of Mantel's biography struck me in the gut, a bit that hasn't really anything to do with her book. She deduced that she had endometriosis, a disorder in which uterine cells are found in other parts of the body; the cells bleed each month and scar tissue builds up, and when that scar tissue presses against nerves it causes pain. Her pain was growing unbearable, but she had finally come to the end of her book, and she was determined to type out a fair copy to show to publishers and agents when she went back to England for Christmas. She spent weeks typing, finished, and collapsed. Infertility. The grief that keeps on giving. 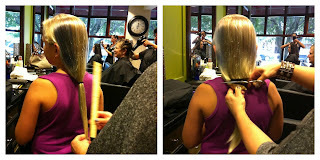 In another bit of synchronicity, I just read a blog post at the Chloe Chronicles. Not only did Chloe have her own encounter with infertility, her daughter and son-in-law have now discovered that they can't have any biological children. So, Chloe is facing second generation infertility. I just hadn't really thought about it before. If our treatments hadn't been successful, and we'd ended up a childless couple, my parents and my in-laws wouldn't have been grandparents to our feisty little girl. And, while I'm a long way from being a grandmother - she is only eight still - if I hadn't had her, I wouldn't have that possibility to look forward to. You just never get away from it. The other day, I got up and wandered into the kitchen, as one does. That's where the coffee is, you know? I found the girl there, bright-eyed and bushy-tailed, "Mommy, I made my lunch!". "Oh," I said, "whaddja make?" 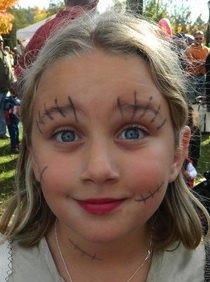 She waved various containers at me: "A hot dog bun with butter and cinnamon sugar, two Mallomars, and some apple cider!" I groaned. On the one hand, initiative! On the other hand, not so healthy! Granted, it's a modest dilemma, as dilemmas go. I assuaged my guilt about the unhealthiness by insisting she take an apple with her, so I didn't feel like the worst mother in the world. Emily wrote a book. Emily wrote a book about childhood, her childhood. Emily had an evil stepmother, and Emily's memoir is called Behind the Woodpile. I’ve found that every time I speak or write about my childhood, it reaches people who are then able to finally speak about their own childhood abuse. She's talking about it, to make it easier for others to do so as well. Despite the hours spent reading and the endless conversations about steam trains, I felt like a terrible mother. I also felt all alone. I could not tell anyone what a failure I was, because that would involve acknowledging it to myself. I had entered one of the biggest organizations around – the Terrible Mothers’ Club – but because membership is secret, I had no idea how many other people had joined along with me, or even that I was in the group. The club I had joined has a secret litany that its members chant to themselves so quietly that even they cannot hear. “I am not patient enough,” we whisper in secret. “I should be gentler,” we grudgingly admit. “He needs more consistency,” we desperately chastise ourselves. “If I had handled things differently, it would not have escalated into a tantrum,” we secretly suspect. These are the words we hear from inside and try very hard to ignore for fear of their strength. And, there are many of us who are Premium Club Members. We have a whole other set of voices, nastier than the first. In light of that, in light of the literally rotten food her stepmother fed her, in light of the cruelties inflicted upon Emily and her sister, I'm pretty happy that my daughter had the unfettered room and comparative luxury to make herself a hot dog bun with butter and cinnamon sugar and be proud to call it lunch. 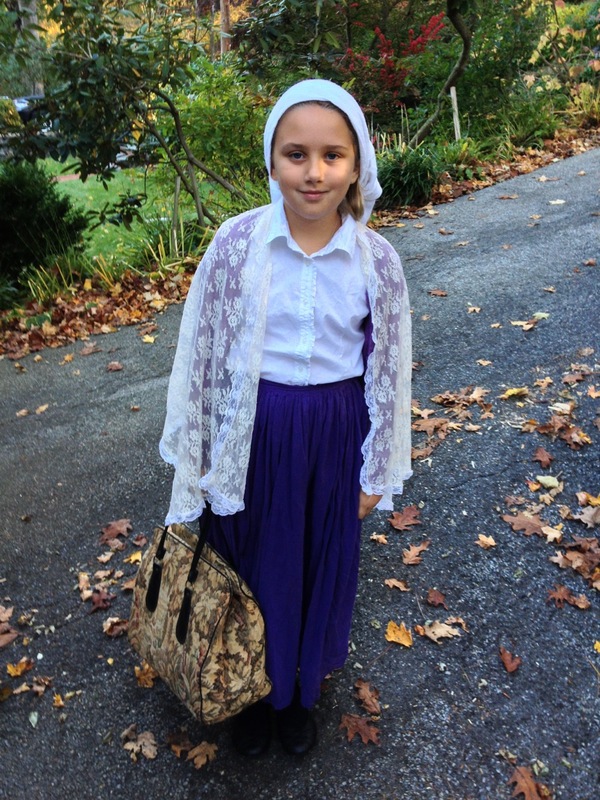 Tomorrow, they go to Ellis Island. Thursday and Friday are the performances of the class play - with, naturally, an immigration theme, and Friday is the international luncheon. Being Northern European mutts, I wasn't sure what to send in, so I'm going to make blitz kuchen, a "lightning" fast German crumb cake that my mother used to make. The other night, just because, we poked around on the Ellis Island website, and found some relatives: my two grandfathers, and one of my husband's. None of those were immigration journeys, though - they were returning US citizens. Still, it was fun to find them there. I have to say, it's a pretty wonderful immersion. ROMNEY: Yeah, I'm not in favor of new pieces of legislation on -- on guns...change the culture of violence that we have...good schools...do a better job in education...perhaps less violence from that...We need moms and dads, helping to raise kids. Wherever possible the -- the benefit of having two parents in the home, and that's not always possible. A lot of great single moms, single dads. But gosh to tell our kids that before they have babies, they ought to think about getting married to someone, that's a great idea. Right. The way to limit the availability of assault weapons is to have married parents. How about we BAN ASSAULT WEAPONS? ROMNEY: I recognized that if you're going to have women in the workforce that sometimes you need to be more flexible. 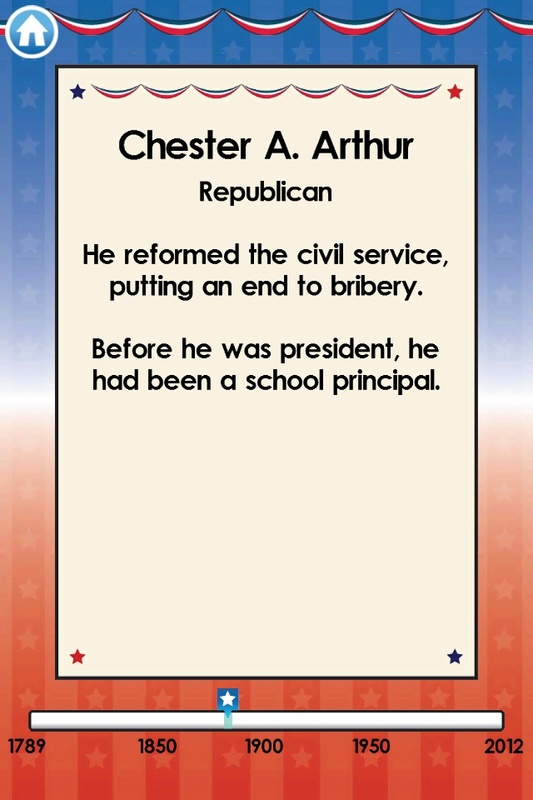 My chief of staff, for instance, had two kids that were still in school. She said, I can't be here until 7 or 8 o'clock at night. I need to be able to get home at 5 o'clock so I can be there for making dinner for my kids and being with them when they get home from school. So we said fine. Let's have a flexible schedule so you can have hours that work for you. Hey! What about the fathers who cook dinner? What about the employees who need flexible schedules to accommodate medical needs, like chemo or radiation? What about middle-aged people taking care of elderly parents? Everyone needs flexibility, and you know what? A low-key attitude towards flex time makes for happier employees. In my admittedly idiosyncratic office, we just let someone take off three and half weeks so he could go tour coffeehouses and music festivals in Europe, because if you don't get to live your artistic dreams now, when's it gonna be? It was more work for me and my assistant, but I'm so glad we were able to be flexible and let our guitar player go play his heart out. ROMNEY: I know how to make that happen. If you know how to make that happen, share it with us. Let us decide whether it sounds like a good plan. Because right now? It doesn't sound like you have any concrete, well-thought-out, workable plans, Mr. Romney. I've tried and tried to understand the magic math of lowering tax rates and scaling back deductions and how that could possibly help small businesses and it just doesn't make any sense. And if you just keep saying "I know how to make that happen", it's not helping. Ezekiel. Actually, it's Ezekiel's toes, in a close-up from one of the Chagall windows in the Union Church of Pocantico Hills. Despite having lived near this church for the past 8 years, and in the same metropolitan area for my entire life, I'd never been in it before last month. It's extraordinary, with a rose window by Henri Matisse, and nine stained glass windows by Marc Chagall. Because you can get right up close to most of the windows, you can really see the paint and the lead work and the etching in the glass. It's magnificent. It's gotten to be a little private joke between me and the girl. I'll pull out a book to read to her, and she'll say "what's it about?". "Well", I say, "the main character is an English orphan." And then we howl with laughter about those pesky orphans. In point of fact, a few of them haven't been English orphans - Anne Shirley is Canadian, Dorothy Gale is from Kansas, Pippi, Hugo. But that's splitting hairs, I think. What's with all the orphans in children's literature? What's it all about? No parents to guide you mean you need to find your way in the world much earlier. Get rid of the parents and the powerless-ness of the child is catapulted into high relief. Grow up kids, parents just get in the way. It's kind of a sad message, but yet, these are some of my favorite books. The spunky children in The Wolves of Willoughby Chase and The Secret Garden are fabulous. Pippi Longstocking is the embodiment of question authority. The orphans triumph over adversity, letting the little children tucked into mama's arms see that life is not so bad, and it'll be easier with parents in the background. Can you think of some more English orphans? She broke her wrist, ice skating - a buckle fracture. Because the pediatrician was about to close for the day, and they had no orthopedist on anyway, we went to the ER. She was seen by two nurses, a nurse practitioner, and an x-ray technician. And someone - who we didn't see - read the x-ray. She was sent home with a splint, and instructions to see an orthopedist on Monday. The physician's assistant at the orthopedist's office put her in a cast. They didn't need new x-rays, because they could access the ones at the hospital. Back to the orthopod. Again, the PA saw her. He took off the cast, sent her for a new x-ray, and put her in a (new) splint for another two weeks. So, is this a lot or a little? In the entire treatment course for this minor bone break, the girl was never seen by a medical doctor - only by nurses and a nurse practioner and a physician's assistant. I'm not complaining - it was a minor break and the professionals that cared for her did a fine job - it didn't need a doctor. A lot or a little? If we didn't have insurance, we would have paid more for treatment. If we had insurance with a lower deductible (and a higher premium), we would have paid less for treatment (but we'd be paying higher premiums each and every month). The huge deductible* that we have is supposed to force the insured people (in this case, me) to be better consumers. But the only way to be a better consumer is to know what the costs look like and have a way to make rational choices. In this particular case, the ER was the only rational option, but it was certainly not the cheapest solution. But what were we to do? Our child broke her arm, she needed to be treated. In an emergency situation, you can't make a rational choice. Maybe you can comparison shop for a colonoscopy, but you can't be choosy when you need an emergency appendectomy. The system is broken, in many many ways. Above all, there are way too many options and choices regarding health insurance. People need health insurance, and if everyone has it, the costs are more rational - because yes, the young healthy people underwrite the older sick people. People need health insurance, and it shouldn't be employer based - because some people don't have jobs. People need health insurance, and it ought to be single payer. It would be simple, efficient, and fair. *Because I know you're wondering what I think is huge, it's a $10,000 deductible for me and the girl. My husband has coverage elsewhere. Just in case you've been under a rock, we're in the middle of one of those quadrennial circuses that will result in a presidential election in November. Remember? They're even getting into it at my kid's school, what with the 4th graders running a shadow election, polling everyone else in the school. The other night, my kid was thrilled to announce that her homework was to Watch Television! This made her day. School sanctioned late night TV trumped the fact that she had to answer questions about the event, like "what were you wondering about when you listened to the debates?" I don't know how Mitt Romney thinks we need to drill the oil in Alaska. That will kill animals and create pollution. No matter what side of the race you fall on, if you have kids, you probably want them to be versed in American history, and to know something about the presidents we've had, from Washington to Obama. And hey, there's an app for that. 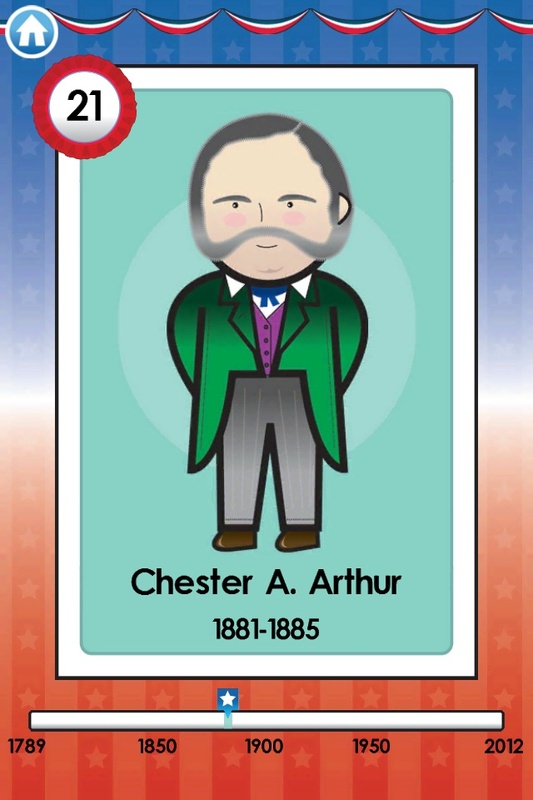 Basher Presidents isn't much more than a set of virtual baseball cards with a fact or two about each president, and a little game where you have to plop them into chronological order. It's fun, and probably worth the $1.99, if only so that your kid can tell you from the back seat that George W. Bush "nearly choked to death on a pretzel while watching football on TV". Disclosure: I got a free copy of Basher Presidents, but my opinion is my own. You know how it is, right? On Twitter one night, I fell into a conversation about homemade baby formula. I don't even know how it started - ask Beck - but I was able to get myself out of a warm bed and pad down to the cellar, where I unearthed the baby care instruction book that my mother had gotten from the hospital when she was there after having birthed me. Vintage child-rearing instructions! In my very cellar! Courtesy of New York State! Complete with the instruction that "sun baths are not necessary"! I was able to answer Beck, sort of. It turns out that the proportions for making homemade formula are based on the size of the baby. But that's not really the point. 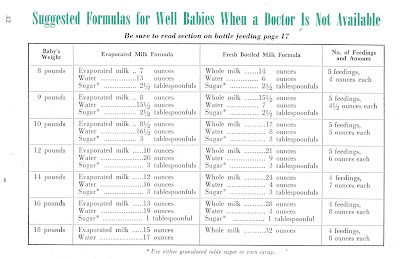 In 1960, baby formula may well have been homemade, and consisted of nothing but canned evaporated OR fresh whole milk, plus sugar or corn syrup, plus water. 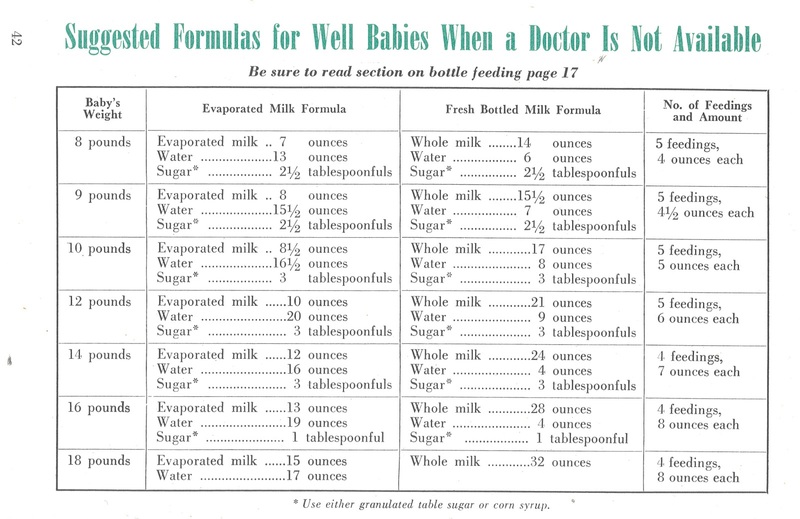 I quickly fell down the rabbit hole of baby feeding, and learned any number of interesting things - including that in 1960, "it is estimated that 80% of bottle-fed infants in the US were being fed with an evaporated milk formula" - that is, not a commercial product. Back in the day, like Colonial America, "if a mother's milk supply was inadequate or she chose not to nurse, the family often employed a wet nurse to nourish infants." When wet nursing fell out of favor, "the practice of feeding human babies milk from animals, called dry nursing, began to flourish". Isn't that fascinating? Wet for human milk, dry for goat/cow/mare/donkey milk, even though at the beginning, the animal milk would have been fresh and therefore a wet liquid. This bit about wet vs. dry came from a fascinating article in Contemporary Pediatrics, called "A Concise History of Infant Formula". According to the Food Timeline, ready-to-serve formula was introduced in 1964, already sterilized in a glass bottle, able to be kept unopened without refrigeration. "All you have to do is replace the bottle's cap with a sterilized-sized collar." Commercial formula, a liquid or powder to be mixed with water, had made inroads by 1964: "only one mother in five now fixes the baby formula using the traditional evaporated milk mixed with carbohydrate modifiers...half of today's mothers now use a prepared infant formula, either a powder or liquid which is mixed with water...one baby in five gets whole cow's milk...only one in 10 is breast fed, still the safest, most convenient and least expensive method of nourishing an infant." I do find it fascinating that in my lifetime, baby formula has gone from a simple concoction of evaporated milk, water and sugar, to a highly-processed exactingly-contrived product with many variants. Mind you, none of this is meant as commentary on breastfeeding or formula feeding. I did both, I'm happy I did both, she needed formula both for convenience and because I did not have a robust milk supply. But I'm damned glad I didn't have to boil and sterilize and weigh and measure. That powdered stuff out of a can, mixed with tap water? That's a good modern convenience. A couple of months ago, I came home and found my garage redolent of garlic: my husband had harvested the crop. Here's the thing - it's incredibly easy to grow. You take the whole head, separate it into cloves, plant it in the fall, and dig it up in July. 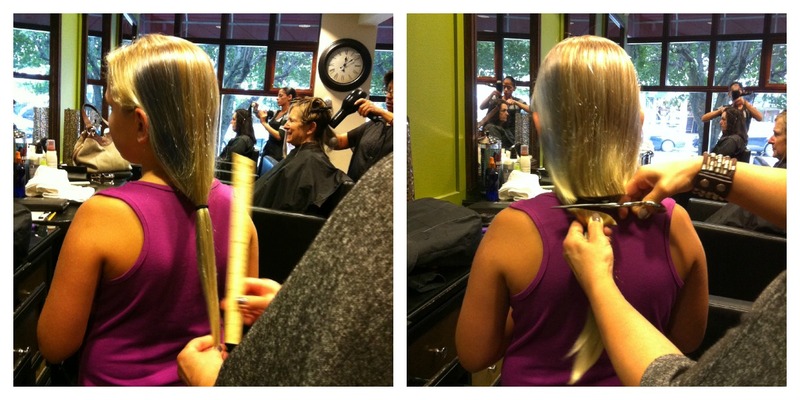 Two heads turn into twenty - can you think of a better return on investment? Oh, and there's a dividend: garlic scapes in late May or early June. So, right now, go buy some garlic. Not at the supermarket, no, that garlic is often treated so as to hamper sprouting. What you want is seed garlic, from a local farmer who's planting their own for next year, or from a mail order house like Seeds of Change or Filaree. Ours was from a small vendor who had a stand at our farmer's market. How did I know it was time? Well, my CSA is doing their garlic planting on October 6th, and what's good for them is likely good for me. Tuck it in alongside where your tomatoes are going to go, or as edging for your herb garden. It might put up some greenery before it's too too cold, but no worries. Give it a little fertilizer - a top dressing of manure would be nice. Keep it watered. Give it some more food in the spring, and watch for it to send up scapes. Cut them off and eat them - chop 'em into a stir fry or make 'em into pesto or add them to greens and potatoes for a kind of demented colcannon. Once the tops start browning, and your CSA sends out the email asking for volunteers to harvest their garlic crop, dig it up, using a garden fork to help loosen the soil. Brush off the loose dirt, and hang the garlic in your cellar for a couple of weeks; it needs to cure. While you're waiting, read Stanley Crawford's A Garlic Testament - a lovely meditation on growing garlic in New Mexico. There is nothing easier or more self-satisfying than growing your own garlic.